Traveling is one of the most liberating things to do. No matter what kind of traveler we are, we can experience different situations, and from that, we can tell different stories to other people. I experienced different versions of being a traveler. It all started one summer at a time in my homeland, Mindanao, as a family travel. Then college came, group of friends started to explore the nearby towns in Cebu. After college, I experienced traveling with strangers in a boat for four days and three nights on an island hoping in Leyte. And recently, I experienced traveling alone and volunteered outside the country. One thing I realized, all kinds of travel gave me diverse escapade and I learned tons of things out of them. But when you are alone, it is scary, exciting, and overwhelming, all at once. This is the thing I want to share with my close friend who just ended her three-year relationship recently. That it is not too late to try something new, something heart-pumping, something she thought she can’t do. Only the first step is the hardest. Be brave to put all the fears behind and take that little step. I’m not saying that everything will not be okay, but I’m sure that things will be easier to handle in every step of the way. Easier said than done. I know. But you will never know, until you tried it yourself. If you’ll date yourself this Valentines Day. Where will you go? These are their advices to my friend, where are the best places to travel solo in Philippines. Ending a three-year relationship can’t be an easy thing to go through, but spending Valentine’s Day by yourself couldn’t be all that bad either. If I were to date myself this Valentines Day, I’d definitely go back to Ilocos. It’s one of the most beautiful places in the country— one where you can enjoy nature and history both. I’ll probably see the jaw-dropping Kapurpurawan rock formation. It’s a bit of a hike, but along the way you’ll see crashing waves, lush Ilocano hills and giant windmills looming in the background. It’s an absolute sight to behold. One beautiful enough to make you think: God is an artist. A really, really amazing artist. Then I’ll test my courage and go on a crazy 4×4 ride through Paoay’s sand dunes. Sandboarding is a must, even if I lose a bit of my dignity falling on my board along the way. This part of Ilocos is hands-down fun. I’ll never think of deserts as barren or ugly ever again. Finally, I’ll enjoy a nice leisurely stroll down Calle Crisologo. I’ll probably grab a bite from a nearby empanada vendor and ask for extra sukang Iloko for good measure. Then when I’ve tired myself out, I’ll sit down the park and enjoy the dancing fountain show. Ilocos is the perfect place to forget an ex, and to remember who you used to be. Who needs a lovelife when you can fall in love with a place that won’t ever break your heart, right? If I will date myself this Valentines Day, I will go to Lake Holon in Tboli, South Cotabato. I’ve been there once and by far, it is the most romantic place I’ve ever been in the Philippines. A perfect date for me would be to go somewhere outdoors and stay off the grid for awhile. As someone who lives a digital life, I like to go to a place from time to time where I can get to know myself better without having to deal with constant connectivity. If I were to date myself alone for Valentines day, I would choose a place where serenity prevails. Where I can reclaim my sanity and replenish my soul. I can think of a few places I’ve been to, but Tibiao stood out from my very cluttered head. Tibiao is a rural and agricultural municipality of the Antique province. Here, life is very simple. The air is clean and away from the city pollution. A free flowing clean River supports the vegetation and the people. Villagers tend to their bountiful farm and livestock. A self sustaining community that is. What I love the most in Tibiao is not their famous and tourist-swarmed kawa hot bath, nor the enthralling Bugtong Bato Falls. Rather, I fell in love with the simplicity of their life and their appreciation of living with just the bare necessities. The village barely gets cellular signals thus keeping you away from the new form of social traffic and pollution in the form of social media. No video streaming but learning to bask yourself from the stream of the cold rivers. No pre-recorded music. Rather, listening to the live orchestra of nature. The symphonies of the birds with the accompaniment of mother nature. Staying in Tibiao enables me to reconnect with mother nature and re-establish my inner connection with my soul and my spirituality. It brings me back to the clean slate of being human. That is why if I were to date myself, I’d choose to stay in Tibiao. If I will date myself this Valentines day, I will go to Camotes Island because the island is surprising and promising. The island has a lot to offer to us which is not only white sand beaches. Though, you will love the white sand beach of Mangodlong Paradise Resort and Santiago Bay Resort. After the exhausting day tour in Camotes Island, you will still look back for the adventures you had in Camotes Island. You better tried the Lanao Lake Park, you will enjoy the beauty of nature even you’re single. Camotes Island is really amazing that I keep asking for my time to come back again once more but hopefully I can comeback if my schedule permits. This paradise island is not for couple only but to all single too especially who want to find themselves and enjoy the beauty of the nature. I really recommend it to everyone! You will not regret your time and effort! Cupid is ready to shoot humans with his love-inflicted arrows as Valentines Day is paving its way. And for me, there’s no more satisfying way to spend it with than being outdoors. 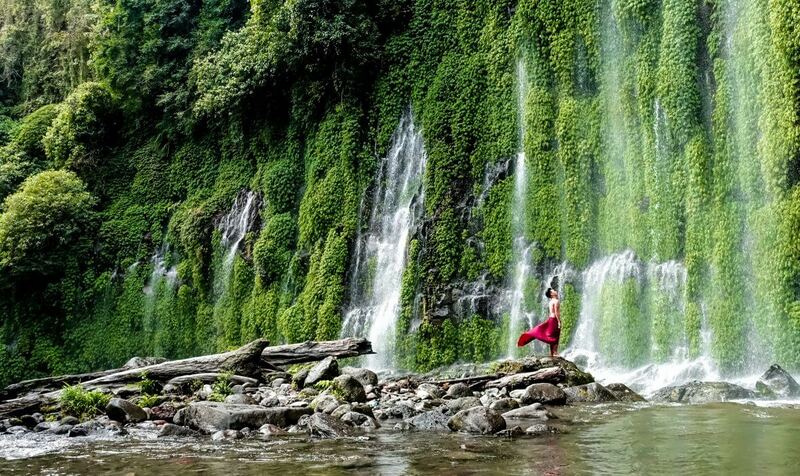 If I will date myself this Valentines Day, I will definitely go to Asik-Asik Falls. Not just this waterfall gives you the feeling of liberation from your social responsibilities and bustling city life, this place takes you to your solitude and brings out your highest form of happiness by falling in love. You’ll be reminded that people don’t hold your keys for happiness and you’ll find love on unexpected places. People talk about love in different views and perspectives. Many find comfort in the closure it brings, while others find it an opening into a whole new world. For me, I thought it was closure I sought, and yet, when I was there standing in front and dwarfed by Mother Nature, breathing in the fresh mountain air, I felt my world open up a little more. I knew I had just fallen in love with this waterfall. And for once, I realized that Asik-Asik Falls holds one of the finest keys of happiness. Where do broken hearts go? “That thing called tadhana” recommended Sagada in places you should go if you’re broken hearted, newly single or just want to be alone. I did just that. And no, I wasn’t broken hearted (that time). I was just single and wanted to go somewhere alone. It was magical and the weather is not so bad too. I went there last December 2015 and the temperature drops as low as 2 degrees at night. Places you should include when you’re visiting Sagada are the echo valley and the Kiltepan peak at sunrise so you can experience the sea of clouds. And if you’re really hurting deep inside, shout your worries to the clouds. It was one of my earliest trips alone so I found some tours who were looking for additional members. Not only did I had a blast, I’ve met a few people whom I am still friends with. Somewhere along the way, we get too involved with how society works and how we should conform to it. Too occupied, we then forget that somewhere inside us, hides a little someone who needs a little more attention, too. So this Valentine’s Day, instead of embracing the fad – of romanticizing what could have been an ordinary day – I would be hiking the country’s highest peak – Mt. Apo. Of course, why settle for anything less when I can do so much more (we always can if we let ourselves be). Aside from being able to unwind from the daily hassle of the city life, hiking has been proven to be a good exercise of the mind, body, and soul. Detoxifying oneself with nature scrapes all the negativity in life. Moreover, dealing with step trails, boulders, and sulfur vents can be a good test of how well I know myself and my capacity to face head on all the challenges in life. For some, this’d be a silly activity to do; but just like any hiking activity… you’ll only know how beautiful it gets once you’re on top. You’ll only realize how amazing you can become after enduring all the struggles – a beautiful metamorphosis. Personally, if I will date myself this valentine’s day. I will go to Siargao Island. This island is one of my favorite island, and I’m pretty sure that everyone who experienced its magic will say the same. The island is a perfect getaway for any reasons you want and it has tons of activities to offer other than surfing. You can go on an island hopping, visit magpupungko rock pool and enjoy the beauty of Sugba Lagoon. What I like the most in the island is that I can enjoy my own solitude when I want to. I can also meet and mingle with a lot of people anytime. Siargao is a paradise to those who enjoy freedom and simplicity, and sometimes it is an escape to those people seeking the same things. Personally, the island gave me equally beautiful and crazy memories that I can share with others, and some to keep for myself. I always keep coming back in this amazing island, and for me, no matter what’s the occasion, reason, and status in life, you can never go wrong with Siargao Island. I’m all about solo trips to celebrate Valentine’s Day or ANY DAY! I’ve still not yet been to the Philippines and while I’d like to go with my family, I’m now also inspired to try do some exploring on my own. Thanks, dear. This is exactly what I needed as I start my solo trip on Monday. For the first time in so many years, I;m single and all my friends are talking about their V day plans on WHatsApp and FB. Time to unwind and go out. I think we think alike. Sharing it with my mum so that she understands what I;m going through. I always travel solo. I haven´t been to Philippines yet but thanks so much for sharing your experience. Asik-Asik Falls look amazing. I love waterfalls. Went to Victoria Falls in Zimbabwe – it was beautiful. Solo trips are so freeing and the way to go! The Philippines looks so incredible. I was just asking my dad about the country since he was stationed there in the military forever ago. I think it may be my next place next year! Love this!! Girl power! I am all about travelling Solo and have done so for the last 1,5 years! The things you see, the empowerment you gain and the knowledge about yourself and how far you can actually go is amazing! Great question to ask and a great way to put it into an article like this! Well done and thanks for sharing! I’d recommend Cagbalete Island for a solo trip. It’s a place that’s near yet far from the basic amenities of the modern world. This is so true. The first step is the hardest but its all worth the try. Though I have been solo travelinv for quite some time, i always fear of the unknown. But really, there is nothing to fear about. Thanks for the suggestion! I havent been to Sagada and its one of my solo travel goals.